Tel Aviv police have arrested a fourth suspect in the 2009 shooting spree at an LGBT teen community center that left two dead and eleven injured. The new suspect is reportedly "well-known" to the local gay community. Three other suspects were arrested yesterday and none have yet been identified. Despite widespread speculation that the murders were an anti-gay bias attack, police now say the attack was based on a personal dispute and that the shooter was seeking revenge. Investigators believe one of the suspects in the deadly 2009 shooting at the Barnoar gay youth center in Tel Aviv opened fire inside the center and killed Nir Katz, 26, and Liz Trubeshi, 16. Eleven other people were injured in the shooting attack. Police believe two other suspects aided the shooter. 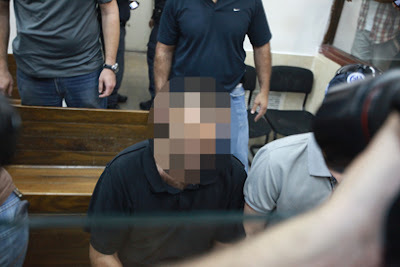 The Tel Aviv Magistrate's Court on Thursday extended the suspects' remand by 11 days. A fourth suspect, a well-known figure within the LGBT community, was arrested overnight. Police officials said the shooting is not defined as a hate crime, adding that the suspects were under surveillance for months. The police representative at the remand hearing said the main suspect incriminated himself during his interrogation and became agitated after being told there was evidence against him. According to police, the suspect said to be "well-known" to the gay community is not believed to have participated in the shooting itself, but has "valuable information" related to the attack. The other three suspects are alleged to have conspired "before and after the crime" and all three are suspected of numerous offenses unrelated to the community center shooting. Tel Aviv's gay pride parade is tomorrow.